Are you less than satisfied with your latest encounter with a customer service call center? You are far from alone. A survey released today says one in five call center customers come away with the problem unresolved. And, no surprise here, they are twice as likely to stop doing business with that company than customers who had their problem solved. That's right, the top performer is a "C" student. Maybe they're grading on a curve. The survey also found that (again, no surprise) customer service representatives who are difficult to understand didn't solve problems as well. Eight-five percent of issues were resolved when the rep was easy to understand, compared to 64% when rep wasn't. Still, the survey said offshore call centers improved their customer satisfaction scores by ten points over last year's survey. Even so, more than half of the people surveyed (52%) said the location of the call center would influence their likelihood of using the company in the future, compared to 48% last year. Guess companies might want to reconsider outsourcing tech support to "Bob" from Bangalore. What surprises me is that these industries actually received ratings above single digits, let alone over 50! The scripts they are forced to adhere to, along with the gross incompetence of most of them leaves me at a loss to understand how some of these people get a job in that field. I work in technical support at a call center and since we are located here in the US and have all local people we tend to get good ratings on our customer support. We have an overseas branch that handles some work but not too much anymore. Good read, very true. I'd like to see this topic covered more frequently so that perhaps the point would finally get across. I wish it was true and jobs would come back home. But I don't think communication skills is everything. “Bob” from Bangalore might not speak English as well, but he's got more education and technical skill than "Bob" from Kansas. And he's willing to work longer hours, day or night. For him a customer service job is a step up. I hate to be cynical but that's reality. If it wasn't, jobs wouldn't be outsourced at the rate they are. I can't even remember the last time a customer service representative actually resolved anything for me. IMHO, customer service has become the art of explaining to the customer that their agreement/contract doesn't cover whatever they're requesting. My list of "companies I'll never do business with again" just keeps growing and growing and nobody cares. Ok, first of all let me start off by saying that I am a graduate student studying the philosophy of business... jobs aren't getting outsourced because Americans aren't willing to work more, the jobs are being outsourced because off shores, they need less money to accommodate for their SOL (standards of Living). Yes, it’s true, some customer service agents aren't that great at making you feel like the royalty you think you are, but for the most part, the ideology of service here in the US surpasses any kind of service you will get as an American elsewhere. Ladies and gentlemen serving ladies and gentlemen. That's what service is all about. So please stop trying to come up with irrelevant reasoning with why jobs are being outsourced, because most of it isn't true. Please get your facts straight before you judge. To the persons who cry about getting lousy customer service, try having a positive, gentle attitude when you call instead of ranting, raving and cusring at the people. I seem to have no problems getting things resolved and the agents are more than willing to help me resolve my problems when using this tact. But what do you expect froim people who think they are owed everything in life. One good thing about the poor economy is that companies now have to focus on providing decent customer service again. CompUSA just failed, Palm is almost out of business, and I hear Circuit City and Best Buy are suffering. These are the companies that I've encountered with the poorest customer service. Plus, if I have an issue I can't solve, it's probably too difficult for Rajesh to solve reading from his script. I'm on the phone only when the device has clearly died and I need a warranty replacement. And speaking of customer service, I've quit flying, and I'll never buy an American-made car ever again. I work in a call center for a credit card company and used to be on the phones myself. Trust me when I tell you it's not an easy job. Most of you take the service for granted, same as you might a waiter in a restaurant, but it's much more difficult explaining how how something works to some impatiant soccer mom, ignorant hillbilly, egotistical business man, etc. than some might suspect. Try taking a call from some person that is yelling about some problem simply because they don't understand, yet think they're 100% correct. Yes, some things cannot be resolved immediately, but that's because of a system limitation or because of some business rules put in place by the management of that customer service agent. It's not their job to make the rules, simply to adhere to the scripts and try to help you as best they can. Companies put so many controls in place because of all the idiots on the other line. Everyone is so quick to complain, contact the lawyer, blog about it, contact a news agency that everything has to be scripted. Cut the customer service agent some slack and realize it's not their fault. The truth is you get further by being nice and trust me when I tell you that they're more willing to help you when you're not acting like some raging idot. Use your nice person voice otherwise we'll push the mute button on our phone, talk about you behind your back to our co-worker then go on acting like we cannot help because the companies policy does not allow such and such to take place. Had you been nice we would have bent the rules a little. How can I have a positive attitude when I have been trying to get my electric power line hooked up since last Thanksgiving? It has been six months now and all I am getting is the run around between the local electric monopoly (PEPCO) and the electrician who put in the new service line. Phone calls are never returned, emails are not acknowledged. Even the Public Service Commission does not seem to care. Perhaps "Ozark_Sunshine" cold do something on my behalf? First, read "Nat's" post above. I disagree. The sole purpose companies outsource is to save money. "Bob" gets maybe $1.50 an hour, no medical, no laws regulating safety, etc. This is just a new form of socially accepted slavery. Of course, that's just my opinion. Don't get me wrong, I always try to understand that the person on the other end of the phone has one of the worst jobs in the world. And I always try to be pleasant to the person, but the help the provide is WORTHLESS. Especially if it's an item I know a little about, and I have attempted to do my own trouble shooting, and I have to endure the script they are forcing me to listen to. Another point you have to understand about call centers is that very rarely your speaking to an employee of the company you do business with. The person you speak with is often many times removed from the company. They could be working for a temp service that is providing employees to a company who is providing customer service/tech support to the main company that you do business with. With the sheer amount of work to be done we very often can't advocate for you and take as much time on your issues as you'd may like. Lots of times it's understand the issue. If you can't solve it get all the info you can and escalate it to someone that's supposed to handle it. At the sake of meeting criteria sometimes quality is satisfied and sometimes you break you word with out knowing it. That's just the nature of doing things over the phone. I live in a rural area of N.C. and recently the phone company changed hands...and even though I'm a "hick" from the South, when I call about a problem with the phone service or my internet service, I ALWAYS end up talking to somebody from or in India, who can't understand English, or will put ya through the "wringer" to were to just give up. STOP OUTSOURCING U.S. JOBS!!!!!!!!!!!!!!!!!!!!!!!!!!!!!! My greatest complaint is not so much customer service reps but ENDLESS phone menus whose purpose seems to be to TOTALLY dodge ANY contact with a REAL person on the other end of the line (many of them are "circular"), particularly when my specific issue or question doesn't quite fit neatly into one of the "menu options" (& notice how they've always "changed"?). Total non-response to e-mail or voice mail messages is another big beef. Strong regional accents can make things difficult for BOTH the caller & the service rep. (The latter isn't an anti-diversity rant, it's just a simple fact). It seems to me that many large corporations, organizations & government entities have totally lost ANY concept of providing customer service – just once they've got your money or credit card number, they can't be bothered. American Express' Indian call center could not answer a financing question so I don't use my card anymore.I just had a disastrous experience with Profolio Mortgage. The Indian agent advised me that we were waiting for the approval from the lender. After 2 weeks, I was supposedly denied by the lender. When I tracked down the lender, they said I was not denied but they had never received any documentation from the broker. The broker still lied to me and said that the bank denied me. I almost lost the house, and I had to go to another lender at a higher rate. Capital One's Indian call center agent gave me wrong information and caused me to be late on my payment, and I was faced with finance charges. I am so frustrated with offshore call centers. What is the solution? PLEASE DO NOT OUTSOURCE US JOBS! When it comes down to it, quality of customer service depends on how the parent company views the role of the customer service desk. If they look at it as a department that is to retain and promote business, the customer service is usually pretty good and in the US. If they see it just as another expenditure, they will try to save as much money on it as possible by either hiring unqualified customer support personnel at ridiculously low wages for that kind of job or will try to outsource to another country where they they can get workers for pennies on the dollar. I once worked for a company that provided excellent computer support at the beginning. A few years later the majority of the skilled computer support personnel were replaced with unskilled personnel getting paid $4-5 less. There were no longer "refresher" meetings to keep the customer service agents informed on new procedures and they also reduced the staff to a ridiculously low amount, at the cost to the customer of having to wait longer for service, all to save a buck. If the customer allowed it, they would have outsourced the customer support desk. I recently stopped doing business with Macy's department store because of unresolved problems with them. The representatives I spoke with provided no satisfaction whatsoever. when I asked if they were located in the US I received no answer, in fact they changed the subject each time. I went through three seperate representatives starting with a phone rep. I asked to be transferred to a supervisor but was put through to another rep. The second rep finally transferred me to a manager. The manager was even less helpful than the original rep. The manager also refused to tell me if they were located in the US. I have not set foot in Macy's in over four months and have asked to have my charge closed. I found I have too many options to offset the company and any of its affiliates, and don't need Macy's to find the things I want. You are 100 percent right. I hate companies who have outsourced there tech support to people in every country except the United States. I am originally from India and I am a resident of the U.S. I was here when American factroy jobs got sent over to China and Mexico, and I hardly heard a peep about U.S jobs getting sent overseas. In fact many times more jobs were and still are lost to China and Mexico than jobs outsourced to India. Just yesterday I read an article on how IT companies in the U.S. are having trouble getting qualified workers to fill their positions and how enrollment in IT and Engineering majors at US universities is dropping. I also see this trend as a university professor myself. But I know India would still get blamed. I am very much troubled by the incredible prejudice that I see against India from Americans, while I see you all run to Wal-mart to buy products made in China. If this keeps up, no one should be surprised if in a few years Indian airline companies that have been (yes, they have, even if you choose to not believe that) buying aircrafts from Boeing (American) are no longer doing business with an American company and instead ordering from Airbus (French). You get back exactly what you dish out. Those Indians who by your account 'cannot understand English' just might be poisoned by the venom spewed out in 'English' by an average American, as more and more have access to the internet. Americans go around glorifying democracy but you show such contempt for a democracy like India while supporting communist China by having your consumer goods manufactured over there. Oops! I forgot! America has been 'engaging' China, trying to turn China into a democracy. What a disturbing and sad display of prejudice. While I thoroughly understand and agree that US Corps. must keep jobs in the U.S., why is India the only country you direct your anger at as if India has been the only country responsible for most of the US job loss though that is the farthest thing from truth? That is certainly how it appears. Yes, I do realize that this forum is about customer service and so India is prominent in this discussion. However, I never saw this kind of backlash against China and other countries in which many of your corporations have their manufacturing operations. For the sake of customers such as the ones that have commented here as well as for the Indians having some measure of self respect, I wish Indian companies would altogether stop offering call center services to US companies. Then you can ( I am sure you will) all be happy learning Chinese while giving your blessing to US companies as they send call center services to China. Afterall ,you are willing and happy to buy everything else from over there, even excess lead in toys! WOW, isn't this timely??!! I have been employed at various tech support positions for the last few years and currently find myself as an alarm company tech rep. Just today I was taken "behind the wood shed" and given a verbal warning (again) for help the customers "TOO MUCH"! The deal is that Management wants that person on, then off the phone to the next person. They would rather see no calls holding, but no customers helped than the other way around. When you get right down to it that is the real cause is behind out-sourcing. To have as many techs (skilled or not) answer as many calls as possible so the customer is on hold for the shortest amount of time. Throw in the money saved by paying three out-sourced techs $20 bucks verses getting one US rep for that same amount, and there you go! We as Americans have allowed this form of business to flourish for a long time...playing with the books like Enron, or price gouging like Exxon, or shipping out quality tech jobs only to ship in inferior support like a lot of companies do. The point is vote with your dollars! How many times have I heard someone complain about a situation to me on the phone only to be back next week! You don't have to be unreasonable, or obnoxious, but be persistent and steadfast. If they are not giving you what you need, get a new service or product...and tell everyone you can to do the same! When it comes down to it, quality of customer service depends on how the parent company views the role of the customer service desk. If they look at it as a department that is to retain and promote business, the customer service is usually pretty good and in the US. If they see it just as another expenditure, they will try to save as much money on it as possible by either hiring unqualified customer support personnel at ridiculously low wages for that kind of job or will try to outsource to another country where they they can get workers for pennies on the dollar. I once worked for a company that provided excellent computer support at the beginning. A few years later the majority of the skilled computer support personnel were replaced with unskilled personnel getting paid $4-5 less. There were no longer "refresher" meetings to keep the customer service agents informed on new procedures and they also reduced the staff to a ridiculously low amount, at the cost to the customer of having to wait longer for service, all to save a buck. If the customer allowed it, they would have outsourced the customer support desk. I have had help from AT&T, NetFlix, and even MicroSoft recently – and every single call was resolved, the persons helpful and easy to understand (even those overseas). Perhaps the issue with most "unresolved calls' is PEBCAK (Problem Exists Between Chair And Keyboard) and the tech is too polite to come out and just tell you that you're stupid! BTW – what is "eight-five percent"? Is that an example of the easier to understand yokel that you think should be helping?? that's right all you mental "business" giants: take the cheap way out and outsource things to a bunch of people who can't even speak the language...yes, they are cheap...but they will cost you my business forever! I will also tell everyone I know never to use your business again. I hope it is worth it to you. Good article, but could have taken the issue on more forcefully. Yes, there is an occasional instance of an effective call center: easy navigation, quick access to a human being, competence and rapid/effective response by a qualified and understandable rep. 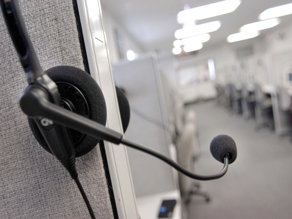 But most US organizations, whether government or private, seem to have failed to grasp the (mostly negative) significance of automated call handling and tech support. In my own case, I was providing information systems to local users. One particularly bad call center instance with Dell was all it took to forever keep them from being considered for future purchases. That product went back with no further attempts on our part to fix it, and we switched to other suppliers. In fact, I think I have influenced a "No Dell for anything" policy at several of the companies that I supported - all because of poor call center tech support (yes, it involved Bob from Bangladore, but the policies and practices that he used might not have been entirely his fault). Summary: if you're in a competitive industry, market share might depend a great deal on impressions that come out of call center/tech support. Somewhat sadly I've had several dealings with Direct TV (programming service is nice, but the set top boxes are not so reliable). Their front line reps definitely seem to be following a script, most of which I have already done myself before ever calling. Their advanced tech reps however definitely seem to know their stuff and have more latitude to do whatever it takes to fix the problem. Recently I try to do whatever it takes to zip through the first line person and get elevated to the second line, being pleasant but also sounding knowledgeable definitely seems to help. The person who said outsourcing is socially accepted slavery is right. Americans FOUGHT hard to ensure that laborers' have rights that ensure their safety and fair compensation. This additional oversight and equipment comes at a natural cost. When companies outsource, they do so because the costs are lower. The costs are lower because the workers overseas are NOT granted the same rights. So we're saying we want to stamp out things like child labor and toxic working conditions. But we really just don't want all of that in our backyard, and we're fine if that stuff happens in our neighbor's backyard (as long as we don't have to see it). Now the flipside of that coin is that all of you people who WANT us to stop outsourcing better quit buying stuff "made in China" from Wal-Mart. You can't have your cake and eat it too. As long as you keep choosing the cheapest TV you can find, you reinforce the need for companies to outsource in order to compete for your business. 1) people working those jobs will have to be happy with less pay (in order to keep the cost of the american made TV from being cost prohibitive. 2) shoppers will have to be happy with getting less "stuff" for their money. As long as everyone's willing to lower their standard of living a bit, we CAN move jobs back to America. As a customer service rep, I can't tell you the distress I feel every time I come across an article like this. It's always "How to Get What you Want From A Company" or "How To Get Your Way No Matter What". How about an article explaining how to be a good customer? Step one would be to ask yourself if what you are demanding is reasonable, or even possible. Step two would be to listen to your tone and the words you choose, and ask yourself if having someone speak to YOU in that manner would make you want to go out of your way to help them. I'm sure everyone thinks that their issue is legitmate and important, but I'm here to tell you that at least 40% of my calls are for ridiculous reasons and requests that no person in their right mind would take seriously. I'm happy to help customers who have a legitimate reason for calling. Customer service is DEAD. No have anymore. Zero balance. Just shut up and get your wallet out. When THIS American corporate attitude changes so will everything else. Until then-You asked for it- You got it. There is a reason why we are upset when we do get to talk to a rep. I called my phone company recently to cancel my dsl. First I had to go through talking to a machine which did not offer me an option for what I wanted to do. Finally after working through options(which I thought were close enough) I got someone. After listening to me, he said that he was Tech Support and would switch me to the telephone number that could help me. Then he said just in case we lost the connection, he would give me the number to call. It was the original number that I called. The remaining conversation is all a blur to me now. The reason for outsourcing is the cost to pay the workers is less and the cost to clean up mistakes is considered acceptable. While I can comprehend Management's desire to make a buck, I'd rather my customer service people knew something about the business of the company. My track record for calling customer service, first, I try to be positive and cheerful on the telephone. I would like to think this plays a part in why I am usually happy at the end of the encounter. * US-based call centers, if it's a billing/accounting agency for the actual company, I find service is deplorable, otherwise service is pretty good. * As for overseas, namely India, my patience wears thin. I don't know whether it's their absolute adherence to the scripts or that they've never called customer service themselves. Usually, I have to let them them run through their script until at long last what I need becomes blindingly obvious to them, then they say, "Ohhhhh!" Doh. Usually customer service and IT are separate. For my DSL service, my need typically got transferred to IT and they always helped. I have found the quality of their service has improved greatly, almost never have problems, and they've done a good job of getting knowledge to the customer service staff. My practical experience with IT is most from the US and India do not belong in the field (Far East not a big sample). My favorite Dell story(I have a few). I had ordered a pc with a internal zip drive. When I got the pc, I also got a box with the internal drive, it was not installed. It is impossible to get the rep who sold it to you, so I decided to install it myself. After an hour or more of fustration because 1) I was not familar with the new box 2) the manual was online, I called tech support. The first tech I got said that he was not familar with the new boxes(after a few attempts) and he would have to switch me to the next level. I am now wondering how they would send it to me uninstalled and their first level tech was not familar with the new boxes. Ok so now I am with the more technical tech, after a few phone calls and attempts to install, I looked at the cable for the drive and checked the mother board and realized it would not fit( so thats why it was not installed. I told the tech I would be will to exchange for an external, and she suggested I call customer service and tell them. OK now I call the number for customer service, and did the usuall long wait. Finally I get someone and I explained the situation and asked if I could exchange the internal for an external. Customer service said I would have to talk to tech support. I explained that I just talked to tech support and she told me to call customer service, he replied that I would have to talk to tech support. After a few more attempts, long waits and being switched back to tech support I gave up. I would like to add that I did not just give up. I called Dell and told them to take it back. They sent me the UPS slip. When I looked around at all the boxes on the floor and pieces to repack, then I gave up. When I call in to a center, I mostly try to be very pleasant. After all, the person on the other end is not the person at whom I am angry. If I am angry or irate, I immediately ask to be passed up to a supervisor and warn them that I am angry and they don't get paid enough to deal with me like that. I find it fun to ask lots of questions as if I am stupid and them use their answers against them. That is often successful. The thicker I apply my regional accent, the dumber they assume I am. I'll use that. As for whether the rep is in the US or elsewhere, I seldom have difficulty with the accents. I will assume that is a talent not everyone has. I think our ears have become less discerning over time as a society if the English subtites underneath people speaking English on the news are any indicator. The rudest people I have come across were the basic utilities like elictricity or phone – it was like they didn't even try because they were the only game in town. I have learned lots of little tricks, though: instead of calling the local number for my cable company, I call the number for the next couple of cities over. For whatever reason, I am never on hold longer than 5 minutes that way. With out local number, the battery on my phone is liable to give out first! I had one strange experience where I was on hold FOREVER and when the agent finally came back, it was a completely different agent – from the foreign language department! The original guy just threw me back in the queue rather than try and handle my complex (albeit weird) situation. When I was working retail, my boss stressed that we should hunt down a product for a customer even if it was sold by a competitor. Just the fact that we offered that type of customer service was appreciated and would bring most customers back. Our phone lines are serviced through AT&T, but we do not have our service through them. AT&T did not install our phone lines properly after 8 weeks without phone service, necessitating several service calls and time off work for me (which means I don't get paid!) to wait for techs who don't show up (still have yet to see one) and nearly 7 months to get proper installation. Then AT&T calls to ask if we want their phone service!?! If they can't be nice or competent when I'm a prospective customer, why would they ever think that I want their service? IMHO, one of the most basic reasons that off shore call centers are so inept is that the people working there feel superior to Americans and really think we are overly-spoiled that were too lazy to keep our jobs. I want to see the smile come off their faces when the next even cheaper labor market takes their jobs. I definitely this it is a race to the bottom and I have never had a problem resolved by someone in New Delhi named Christina or Skippy! And yep, my list of companies I will not give my money to is growing. I would rather pay more, have less stuff in order to get a good old fashion sense of loyalty to the companies with which I do business. until we get paid a decent salary, your not going to get decent customer servcive; but that means you pay more and thats obviously not happening. Spy Bugs: The next generation of surveillance?